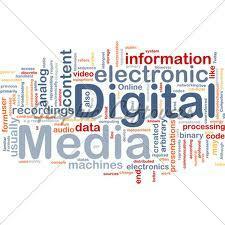 Digital media refers to audio, video, and photo content that has been encoded (digitally compressed). After digital media is encoded, it can be easily manipulated, distributed, and rendered (played) by computers, and is easily transmitted over computer networks. Examples of digital media types include: Windows Media Audio (WMA), Windows Media Video (WMV), MP3, JPEG, and AVI (www.microsoft.com). Digital media allows people to watch videos, play music, present photo slide shows, and share media on their computers and online. A typical Bachelor of Applied Science in Digital Media program will offer a number of specializations. 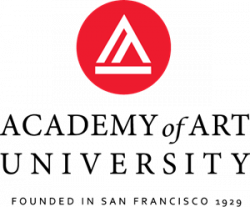 Just a few include a specialization in Graphics and Web Design, Video and Gaming Specialization, or Modeling and Simulation. Regardless of specialization, digital media students will spend most of their time studying computer-based art forms such as digital animation, 3D computer graphics, graphic design, web design, or digital film or video production. Undergraduate programs usually require courses such as Art History, Computer Animation, Illustration, Visual Communication, Multimedia Production, Motion Graphics, 3D Modeling, Digital Audio Production, Gaming Principles, Interactive Design, Artificial 3D Characters, Web Design and Development, Digital Video Production, and Digital Photography. Internships are optional, but are usually offered during the student’s senior year. Many students choose to continue their studies by enrolling in a Master of Science in Digital Media program. Some continue on to earn a Ph.D. These advanced programs can lead to high-level careers in education, research, and development. Advanced programs usually require advanced coursework in the areas of 3D Modeling, Animation, Gaming and Digital Media History, Interactivity, Theory and Methods, Issues in Media Studies, and Legal Issues in Intellectual Property. What Can I do with a Degree in Digital Media? There are so many career options for digital media artists, that it would be tough to list them all here. Just a few popular career options include digital animator, graphic designer, game developer, game artist, web designer, web developer, digital artist, and digital video editor. Digital media artists that hold an advanced degree may choose a career as a professor, research and development specialist, studio manager, art director, or producer.